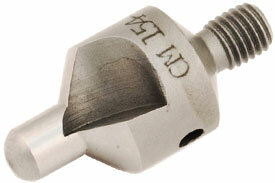 The OMEGA OM154-58-3/8'' Piloted Aircraft Countersink Cutter, 9/16'' x 100 x 3/8'' is one of thousands of quality tooling products available from MRO Tools. Please browse 9/16'' x 100 Degree HSS Piloted Aircraft Microstop Countersink Cutters for tools similar to the OMEGA OM154-58-3/8'' Piloted Aircraft Countersink Cutter, 9/16'' x 100 x 3/8''. 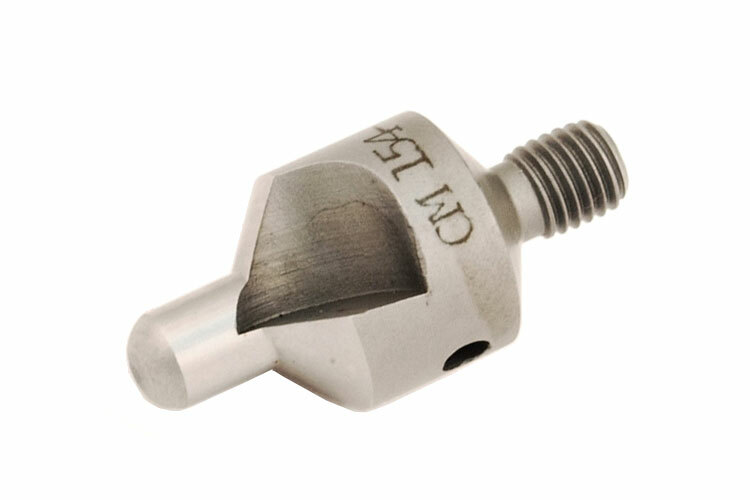 OMEGA OM154-58-3/8'' Piloted Aircraft Countersink Cutter, 9/16'' x 100 x 3/8'' description summary: OMEGA Piloted Microstop Countersink Cutter, HSS, 9/16'' Body Diameter, 100 Degree Angle, 3/8'' Pilot Quantity discounts may be available for the OMEGA OM154-58-3/8'' Piloted Aircraft Countersink Cutter, 9/16'' x 100 x 3/8''. Please contact MRO Tools for details.